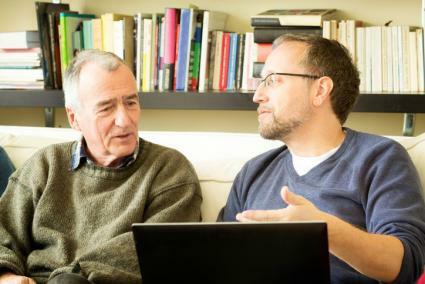 When it comes to genealogy research, there's no source quite as reliable or informative as the members of your own family. 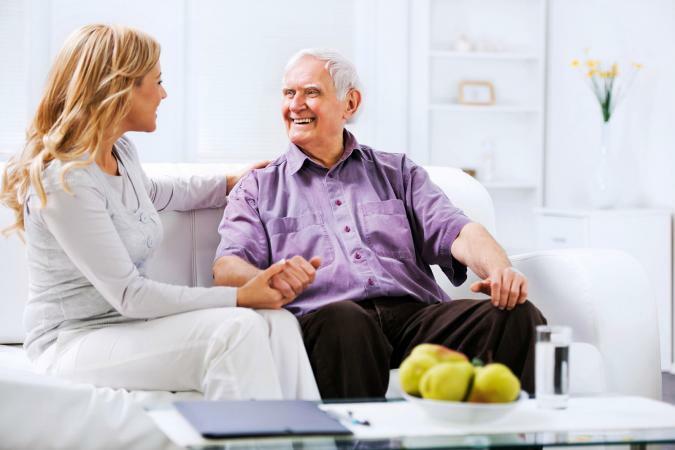 Everyone has questions they wish they had asked older relatives who are now gone or struggling with memory problems. Those family stories are priceless, and they make your genealogy research about much more than just names and dates. Take a few minutes to sit down with your loved ones and learn the stories that make up your family's history. The key to getting the really great information from your relatives is phrasing your questions as conversation starters. An easy question with a one-word answer won't help you as much as a more difficult question that requires some thought and explanation. So pour Grandma a cup of her favorite tea and sit down to listen for a while. How Far Back Can You Trace Our Genealogy? If you're just starting your family tree, it's very important to gather as much known information as you can. You may be surprised how far back your older relatives can trace their lineage. Making notes about these facts can give you a starting point to begin your research. Be sure to ask how your relative knows this information so you can record that as a source. What Do You Remember About the Oldest Relative You Knew Growing Up? Family members' lives intersect in unique ways. Your aunt might be the only person alive today who has first-hand memories of your great, great grandmother. You and your great, great grandmother didn't get to exist on the planet at the same time, but if you ask the right questions of your aunt, you just might get to know your ancestor a little. Ask lots of follow-up questions about how people interacted and their personalities. Place is an important and often disregarded aspect of family history. Genealogy records are full of place names, but it's hard to get a sense of these places without any experience with them. If you have a description of what a home was like, you add great dimension to your family history project. Be sure to follow up with detailed questions about the layout of houses, the sleeping arrangements, the crops planted in fields, and other interesting place-related facts. What Stories Did Your Grandmother (or Grandfather) Tell You About Growing Up? While people sometimes tell their own stories to younger family members, they don't always think to tell the stories they heard from older relatives. If you ask specifically about these stories, you'll get insight into the personality and life circumstances of people who lived decades before you were born. You may be surprised what you can learn about someone based on the stories they chose to tell. Which Family Photographs or Documents You Can Show Me? As family photos and important documents are passed down through the generations, they are often separated from each other and divided among siblings. This means the documents you have in your possession may only be part of the treasure trove that exists. If you are chatting with other branches of the family, ask what they can show you and make copies of the items. Don't forget to ask about any stories that might go with these items. How Did Your Parents (and Grandparents) Meet? For just about every person in your family tree, you'll record a marriage date, but this date doesn't tell much of a story. It doesn't describe how your grandfather saw your grandmother in Chemistry class in high school and figured out a way to be her partner. The only way to learn (and preserve) these romantic stories is to ask about them and record them. Ask follow-up questions about first dates, wedding details, and more. What Traits Do You Think Are Common in Our Family? Every family has certain personality traits that are passed from generation to generation. The same goes for physical characteristics. Do you have your great grandmother's bright blue eyes? What about your grandfather's dark sense of humor? Asking about these qualities that are common between family members can help you learn more about the personalities and appearances of the people who came before you in your family tree. How people respond to hardship says a lot about them, and hard times have a way of shaping the destiny of a family for generations. However, unless there are public records of these events, they are easily lost to history. Ask about these challenges and then ask follow-up questions about how they may have changed your family member's life. What Did Your Parents Teach You About Life? Parents are responsible for teaching kids everything from eating with a fork to driving a car, but they also pass on lessons about life. Often, this wisdom isn't something they directly teach, but something that is only apparent after many years. Ask your older relatives what they learned from their parents and record this wisdom for future generations. What Do You Remember About Your Spouse's Parents? It's natural to ask about a person's own parents, but you can also get great information by asking about the parents of your relative's spouse. Ask about their personalities and interactions, how they welcomed your relative to the family, and how they spent their retirement years. This will help you add dimension to branches of your tree that might otherwise be limited to names and dates. When asking these questions, it's important not to rush. Each one can be a complete conversation, especially if you are getting some really good stories and information. Don't push your family member into answering them all in one sitting. You'll both get more out of the conversation if you take your time and enjoy the amazing stories and details that will make your family tree come to life.